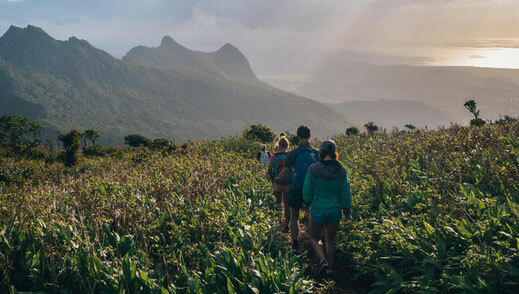 In no wind conditions Surfcamp Mauritius offers you a great variety of hikes around the island exploring its nature, mountains and waterfalls. 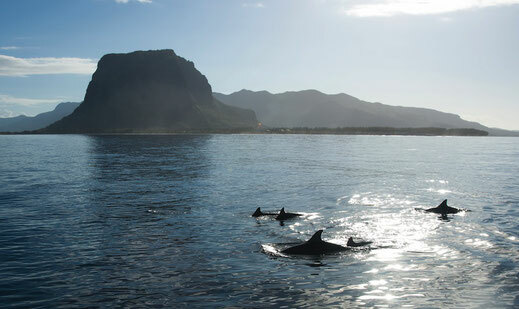 There are also different boat trips such as Dolphin watch, snorkelling around Crystal Rock or Big Game fishing. Below are just mentioned only the most popular trips and approximate prices per person. At your request any individual program can be organized. As the name already indicates the sept cascades is a chain of waterfalls, falling in seven steps down and reaching a difference in height up to 45 metres. It is an amazing place to hike around the unspoiled nature and refresh by taking a bath in one of the pools. 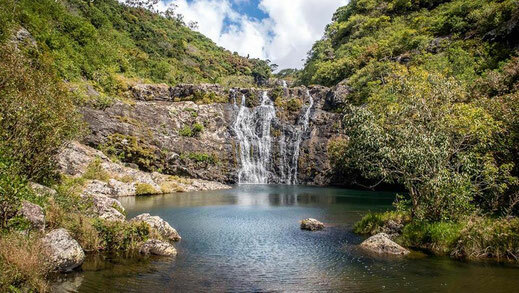 South of Port Louis can be found the third highest mountain of Mauritius, Le Pouce with a height of 812 meters. 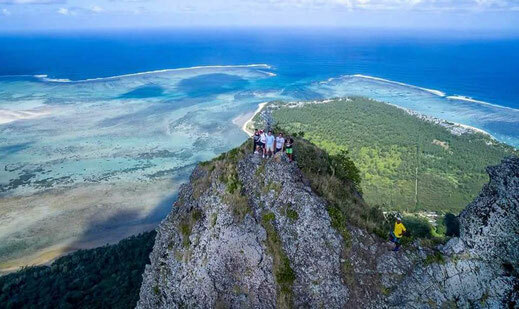 The mountain is named Le Pouce, meaning "The Thump", because of the thump-shaped peak and will invite you to a calm hike to enjoy the view over the city of Port Louis towards the harbour, giving you an idea about the ancient colonial era. For those not having spent their entire life at sea can rarely enjoy the fascination watching these self-confident animals playing with almost everything they find interesting. Their curiosity and high tolerance to human beings is noticeable and moves us deeply in our hearts.